In limestone terrains, karst is expressed by variably developed cavernous porosity and the manifestations of sinkholes, voids, and erratic surface drainage. Karst landscapes are typical of the Edwards Limestone, occurring across a vast region of Central Texas, west of the Balcones Escarpment, and these processes are critical to understanding the Edwards aquifer within its various segments. The features produced by karst processes (voids, holes, and solution layers) eventually provide conduits for surface water runoff and “point recharge” for the Edwards aquifer. The identification and protection of these features in established recharge areas is critical to maintaining groundwater quality and species habitat. The TCEQ, as well as local governing bodies, require protective strategies within these areas to maintain quantity and quality of recharge prior to, during, and upon completion of construction activities. 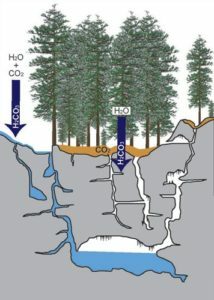 More broadly, the understanding of karst environments is key, as karst landscape covers as much as 10% of the Earth’s surface, and supplies water to as much as a quarter of the world’s population (USGS). aci consulting works with private and public clients on a range of projects necessary for the protection of the karst environment around Central Texas, from TCEQ Geologic Assessments, Karst Surveys for Regional Habitat Conservation Plan Applications, City and Local Environmental Assessments, USFWS karst species cave maintenance and management, and the management of voids encountered during construction. As illustrated below, caves (features with natural openings that are enterable by a human) and voids (spaces encountered during construction or other activities) form by the dissolution of limestone, and the re-precipitation of calcium carbonate. The volume of void space is determined by the placement and movement through time of the water table, and interconnected caves or voids can allow for the transfer of air, water, and even species, like the various Central Texas salamander species, and the karst bugs that are unique to Williamson County. 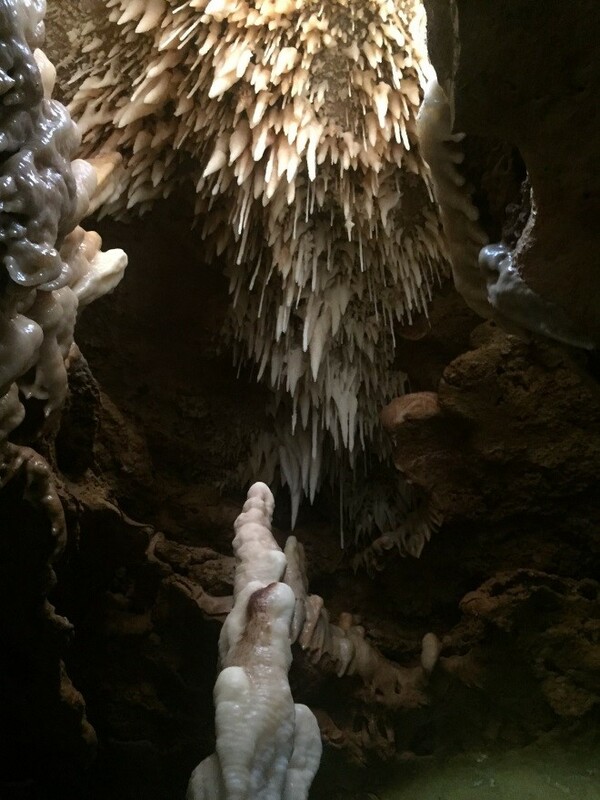 Additionally, the study of cave formations (stalactites and stalagmites) can help scientists determine how long ago caves formed, and what local and regional climate conditions were like (namely temperature and precipitation). In 2016, aci consulting worked to connect clients who had encountered voids on their projects with scientists from Dr. Jay Banner’s group at The University of Texas at Austin Jackson School of Geosciences and Environmental Science Institute. 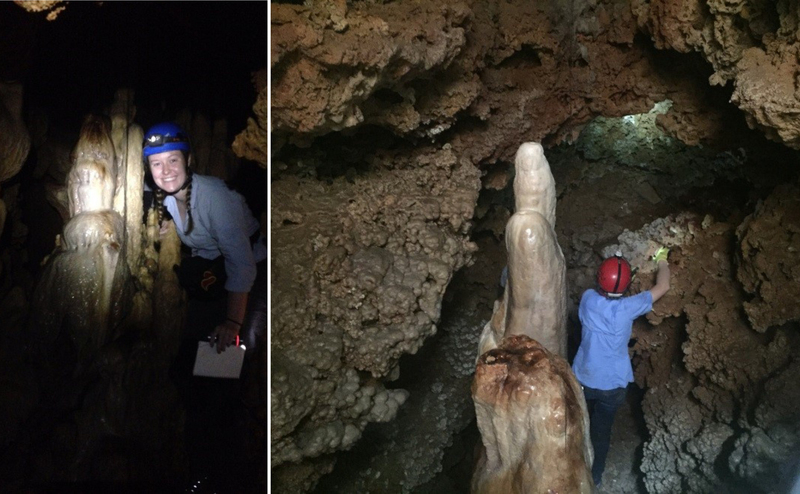 Dr. Banner’s students worked with aci consulting staff to extract stalagmite and stalactite samples (called speleothems more generally) from several voids north of Austin. 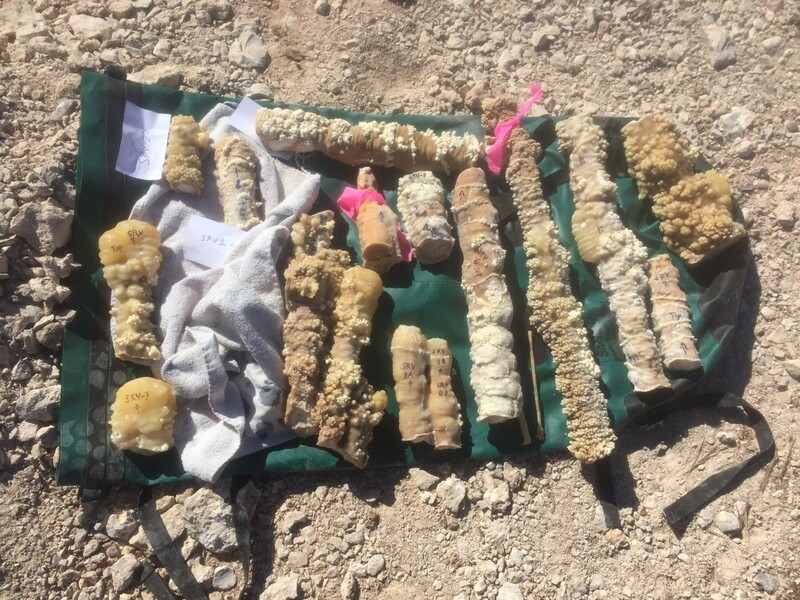 Graduate students are currently working on dating these samples and utilizing them for paleoclimate studies. Additionally, some materials have been incorporated into an exhibit in the Jackson School of Geosciences building on UT’s campus. 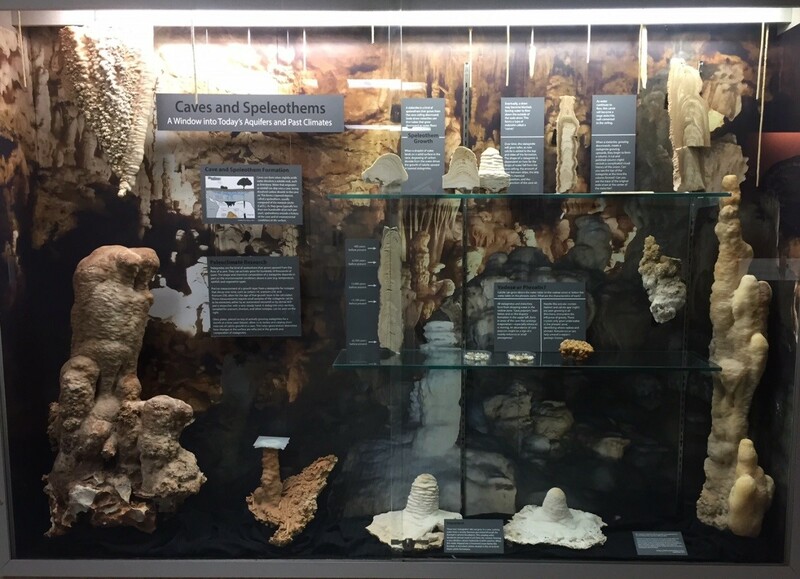 This exhibit will aid UT in spreading knowledge about the importance of karst environments to UT students, campus visitors, and K-12 participants in the Environmental Science Institute’s outreach programs.